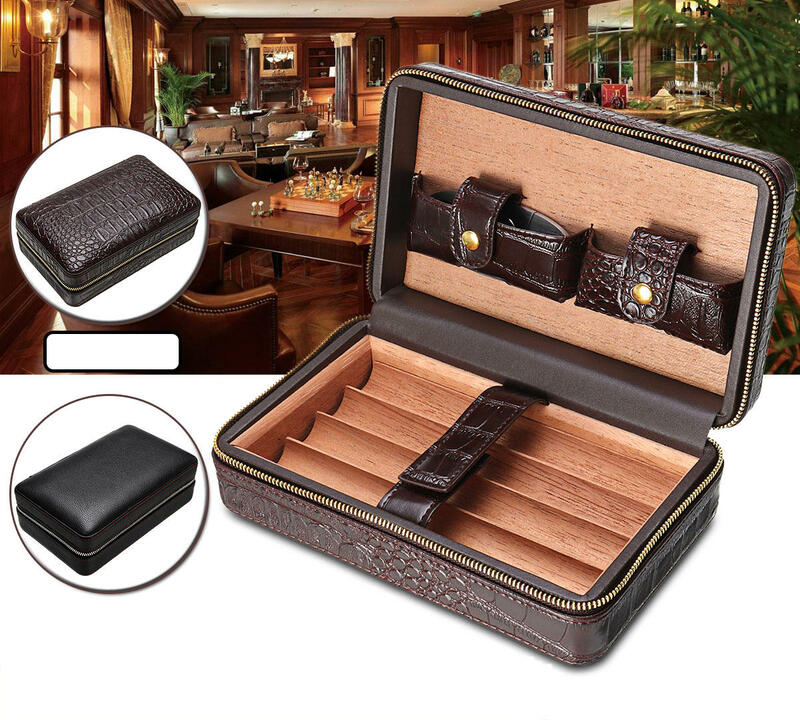 Portable cigar humidors, leather and cedar wood cigar humidor case. Selection of materials, made of cedar wood and leather,quality is guaranteed. Proper design unique fermentation benifit to maturing of the cigar, ensure the pure fragrance and good taste. Portable size, can holder 4pcs cigar. The high-end cigar box is designed for cigar lovers.